Freaky Designer Shoes For Halloween! 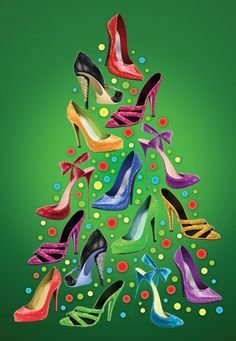 Happy Holidays my fellow Shoe Divas! In the spirit of Christmas - and all of that Christmas music which started the day after Thanksgiving - I'll be posting my own rendition of the 12 Days of Christmas - except it will be the Shoe Diva's version. Welcome to the 12 Shoes of Christmas!